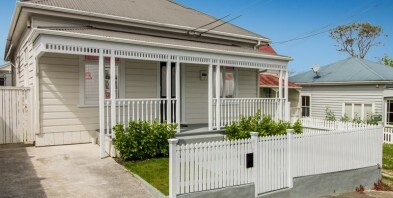 This crisply renovated worker's cottage is so pretty from the street, beyond the traditional picket fence. Once inside, the enchantment continues. Dark floors offset the fresh white walls. Generous proportions in the bedrooms, and great storage provides a hideaway for all the clutter. At the rear, the kitchen will be the focal point for your summer, whether on the entertaining deck or in the open plan dining and lounge. A studio in the garden gives other options to explore as well. Level private gardens and lawn offer play space for the kiddies or a blank canvas for further development. All this is available at an affordable price point for living this close to the city, Ponsonby, Kingsland and transport links. This fantastic property will have you sitting pretty for summer. Head away for your summer break, knowing you have secured your new home for the New Year.